The Chase Bicycles Pro team headed just outside Orlando, Florida for the 2nd to last round of the 2014 USA BMX Pro Series race season. Each season, heading to the end of the USA BMX tour, the riders and fans alike look forward to the Fall Nationals Disney Cup event. 3 action packed days of racing for BMXers is always a welcomed treat, and the Chase Bicycles Pro team and Team DHR were looking forward to the event. 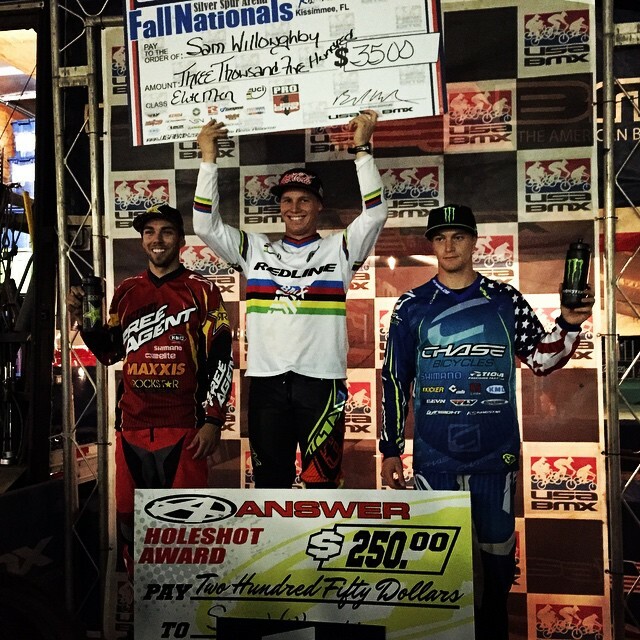 Coming into the Fall Nationals, Connor Fields was sitting 3rd overall in the USA BMX rankings and was looking to try and close the gap to the top two overall ranked riders. With 3 days of racing, Connor had a shot at replacing a score, and he did just that on Day 1 with a 3rd place overall. Connor was in the main event all 3 days, with Day 1’s result being the best, Connor would finish up 8th on Day 2 and 5th on Day 3. Team Chase / Stay Strong Pro rider Anthony Dean made the Fall Nationals his return to racing after his horrific crash at the UCI BMX Supercross Finals in Chula Vista, CA. Anthony rode strong and made it into the Elite Mens finals all 3 days at the Fall Nationals. Anthony would wrap up the weekend with a podium finish on Sunday, with a 3rd, as well as a 5th and 6th place finish. 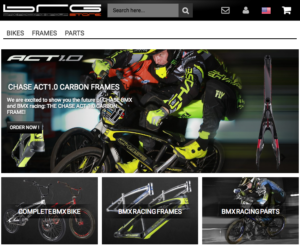 Cristian Becerine, the 2013 USA BMX #1 Vet Pro, has had another great season, once again leading the Vet Pro points chase. He was riding stellar at the Fall Nationals, by finishing 1st, 2nd, and 1st overall on the 3 days of racing, and taking the overall Disney Cup title after the 3 days of racing. Cristian heads into the USA BMX Grands with the points lead and a chance to repeat his title. This was the largest Disney Cup National event to date, and the riders now get a short break to get ready for the USA BMX Grand Nationals held over Thanksgiving weekend in Tulsa, Oklahoma.